Q. How do I get to the UAB library? I am a DNP student wanting to access the UAB library. To access the UAB's Lister Hill Library online collection, you can go to their website, https://www.uab.edu/lister/, and search their materials there. When you are prompted to login, you will see an option for "Home Institution". 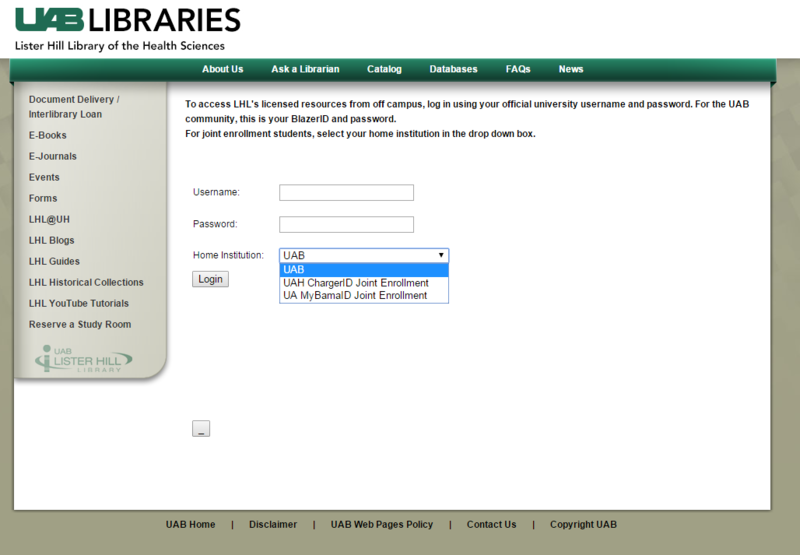 Click the dropdown box and choose "UAH ChargerID Joint Enrollment". Enter your ChargerID and password, there.